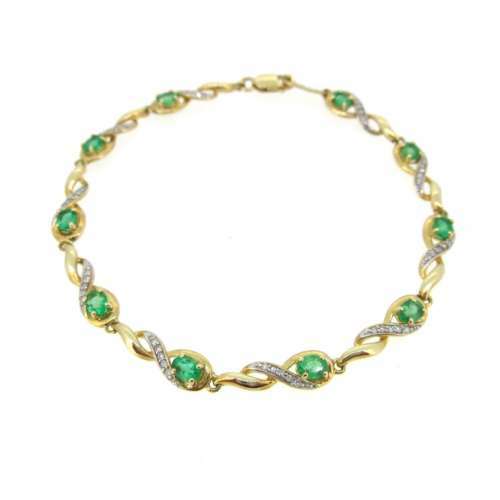 A very attractive & resplendent emerald & diamond line bracelet. 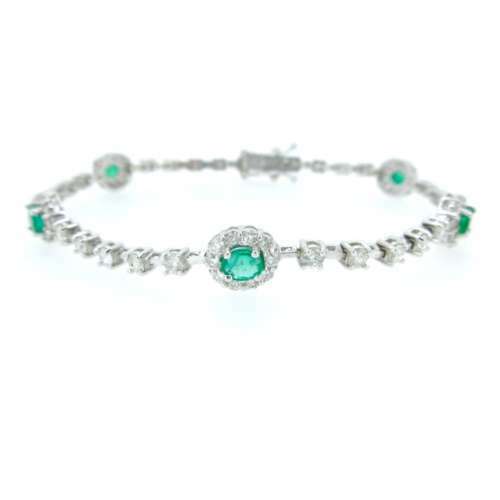 Set in 18ct white gold, there are forty three princess cut diamonds & forty three square cut, mid colour emeralds. The total diamond content is 3ct, VS2 clarity & H/I colour. This is a beautiful piece of jewellery. Pre-owned.